According to the initial report from the King County Sheriff's Office, the brown Mercury was northbound on Aurora and the Yellow Cab Taxi was southbound. The Mercury crossed over the center line, striking the taxi head-on. The taxi was then struck by a southbound pick-up truck. A fourth vehicle was struck by the pick-up who was trying to avoid the collision, but had only minor damage. The passenger in the taxi, 62 year old Catherine Craig, died at the scene. According to information gathered at the scene, she was on the way to work at Northwest Hospital. 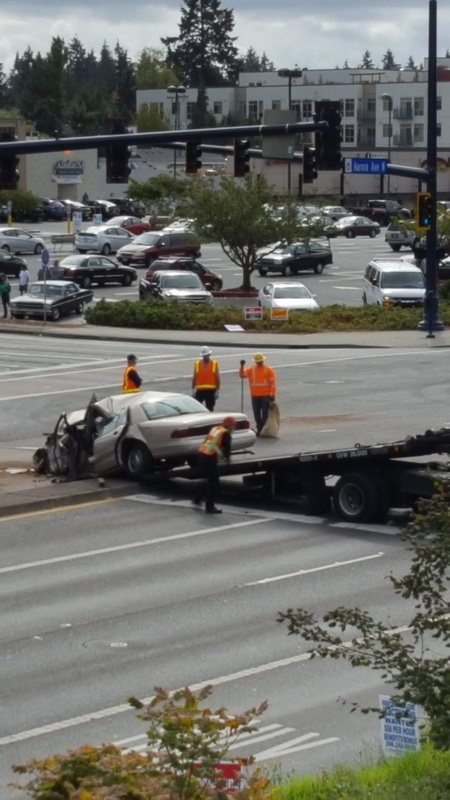 The drivers of the Mercury and the taxi were transported to Harborview in serious condition. Alcohol and drugs were not involved in the collision.